Return a Sale on Vend for Mac or PC – How can we help? 1. Navigate to the Sales History screen and find the sale you would like to return. 2. Once the sale is located, click the reverse arrow under 'actions' to begin the return. Important: If a cashier user is unable to process returns in your store this reverse arrow will be greyed out and unclickable. At this stage in the process, you may need to remove any products that the customer is not returning. 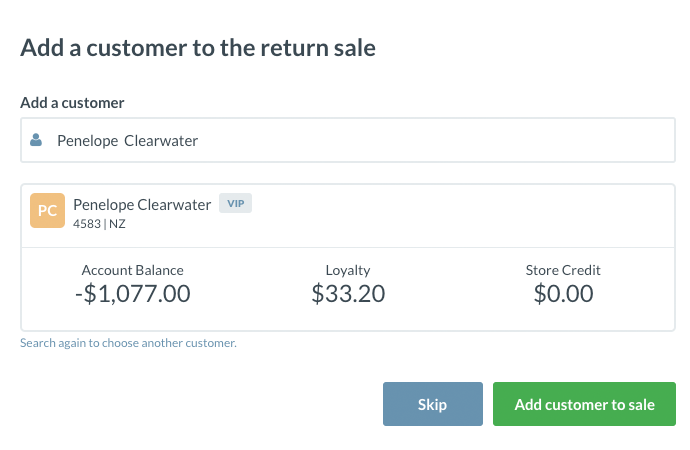 To do this click on the 'Trash' icon next to any items your customer is not returning. Once you are happy with how everything looks, click the return button below and choose the payment type you wish to process the return with.